The long days are slowly leaving us as we slip from summer into autumn. Soon the children will be back at school and Robin Hood's Bay will be a little less busy (and Whitby too). Autumn is decidedly our favourite time of the year. There are still plenty of warm sunny days, but the temperatures are much more amenable for walking than they were in July. The walk from Skerry Hall down to Robin Hood's Bay is a delight at any time of year, but now the paths are lined by fruits - blackberries, crab apples, rosehips ...- and soon the leaves will start to colour. Even on misty days the walk is enjoyable, with spiders' webs glinting with water droplets and the colours of the countryside looking so much richer than under the high sun of a summer's day. At the end of your walk you can explore the yards and alleyways of Bay itself - not so crowded now and atmospheric especially when mist rolls in and evokes thoughts of smugglers from days gone by. 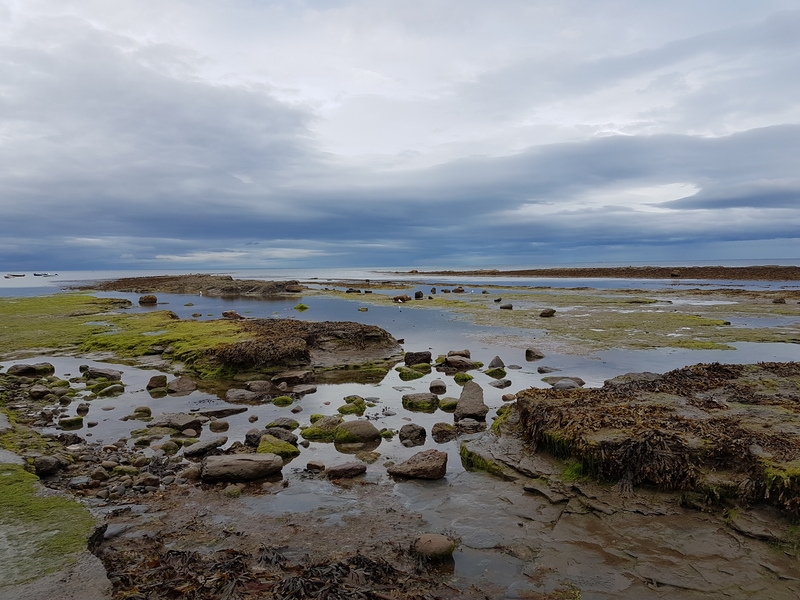 The beach too is quieter for you to enjoy, whether walking to Boggle Hole or just sauntering and beachcombing, and the rich colours of the rocks and pools echo those of the land. Why not treat yourself to a little break - either a weekend or a few extra mid-week days - and come and see why we love this part of the world so much.